The Mondo athletic flooring division is able to supply surfaces not only for running tracks, volleyball, weight training, and aerobics, but also for football and soccer and a variety of sport facilities. Mondo rubber flooring and Mondo turf can attribute their products’ successes to its large investments in technological research and human resources. The heart of the company’s operations and the driving force behind its international success in a wide variety of applications is the Mondo Research Center which, works in collaboration with prestigious research institutes specialized in various fields, such as bio mechanics, sports medicine and innovative materials. Whether it’s a basketball game or concert, a soccer match or track meet, Kiefer USA has the right solution for your fieldhouse. These multipurpose facilities can host a variety of events and your sports hall flooring should not limit these opportunities. 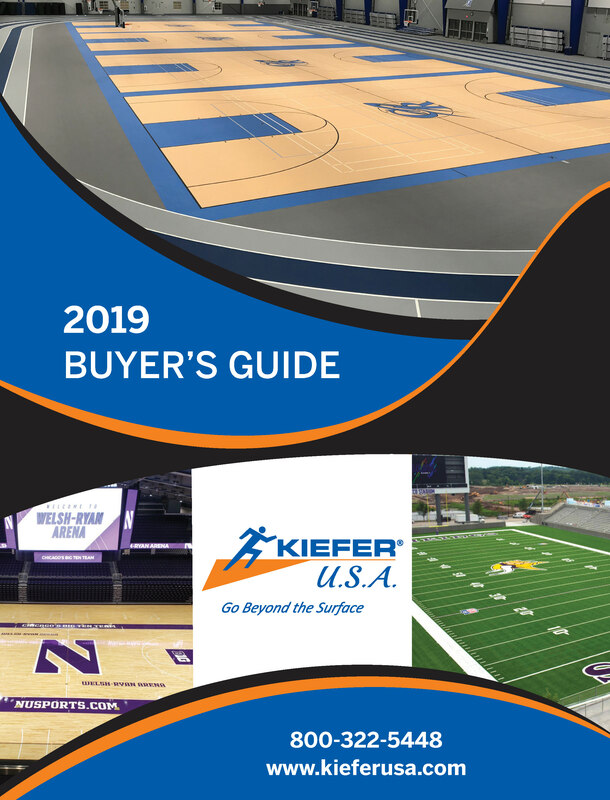 A single-surface solution or multiple-surface solution from Kiefer USA and our partners Mondo and Connor can truly enhance the sports hall floors and the functionality of your fieldhouse. Weight room flooring receives a considerable amount of use and abuse. But our products can take it. Therefore, the right weight room floor is crucial in maintaining the integrity of the facility. Kiefer USA’s free weight flooring products offer enhanced resiliency to dropping weights, heavy machinery, scratches and scuffs, and even sweat.